The slingin’ wild child Lamar Davis needs your assistance in his quest to become the self-proclaimed "King of the Castle." In return for lending a helping hand, you’ll be substantially rewarded with Double GTA$ & RP all week long. From the mission starting line at Benny's to the last chapter, Peace Offerings, fatten the ol' bank balance and smarten up the rep while doing a good deed for a friend. If you're jonesing for some straight up Adversary Mode action, then gather up your protection detail for some Entourage. From the bustling streets of Downtown and West Vinewood in Entourage I to Burton and Alta in Entourage VI and everything in between - all six Jobs will be yielding Double GTA$ and RP. Just hit the Stunt Race Playlist prompt on the GTAV launch screen or join by selecting the Stunt Race Playlist from the Rockstar Playlists in the pause menu. Whether you're competing in this week's Stunt Race Playlist, the Premium Stunt Race "East Coast" (more information below) or just looking to upgrade your cruiser, check out the sweet offers on select Supercars at Legendary Motorsport from now through September 29th to get 25% off the T20, Zentorno and ETR1. 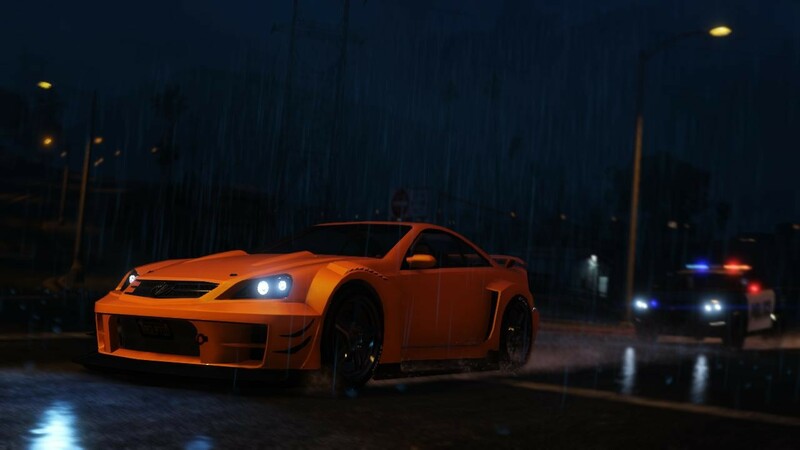 If you're on the hunt for some comfortable yet protective wheels after earning extra cash in Entourage Mode and all the Lamar Missions this week, look no further than the Baller LE LWB – both the Armored and Standard versions are 25% off at Legendary Motorsport. Starting today, win big while soaking in the ocean views in this week's Premium Stunt Race, "East Coast." Make your way to the yellow Premium Race Blip in Legion Square or join via the Quick Job App. 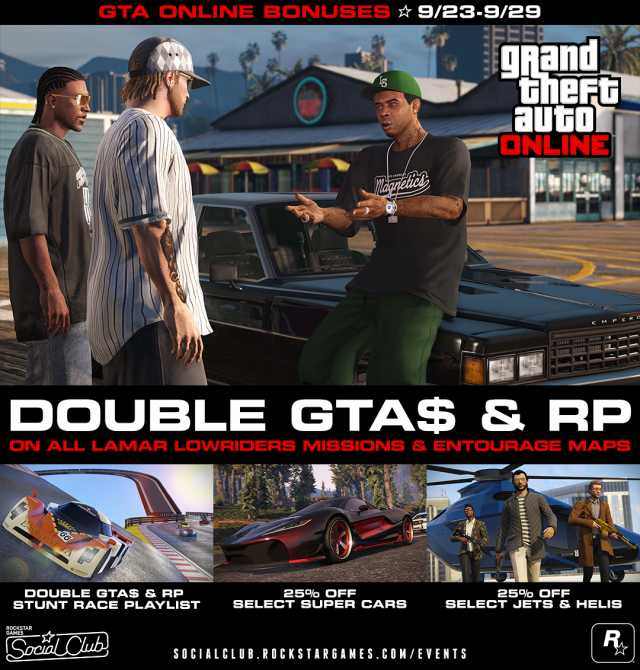 2x Rewards for Lamar & Entourage This Week - This week's new-gen GTA Online bonuses and discounts.